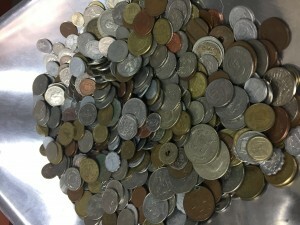 We buy foreign coins, even if they are not silver or gold. 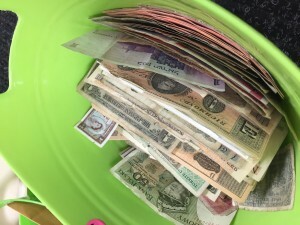 Sell your foreign coins, even if they are not silver or gold. we generally buy them by the pound. We pay $3/lb for foreign base metal coins. Basically everyone has some foreign base metal (not silver or gold) coins laying around. The banks do not accept coins for exchange value. Buying diamonds in all shapes and sizes, Chicago! All forms of gold & silver, skokie! We buy yellow, white, and rose gold, wedding bands, engagement rings, class rings, + cocktail rings, including rings with gemstones and diamonds, or with stones removed. We buy broken gold single earrings, gold bracelets, dental gold, necklaces and any gold jewelry that is no longer fashionable. tiffany gold, We buy 9k, 10k, 14k, or 18k gold, vintage gold watches, diamonds and gold in watches, & david yurman gold. Like I said We buy all forms of gold. We buy all forms of Silver. We buy .925 silver or sterling silver, silver wedding bands, silver engagement rings, silver class rings, tiffany silver and silver david yurman rings, including rings with gemstones and diamonds, or with stones removed. We buy broken silver single earrings, dented silver bracelets, dental gold, Flatware, necklace and any silver jewelry that is no longer wearable. Silver trophies vintage silver, silver watches, We silver trophies, Mexican silver. Like I said We buy all forms of silver. Come to SELL COINS Chicago to liquidate your U.S., foreign or ancient coins. 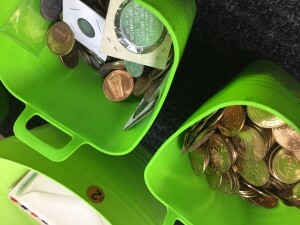 For that life-long collection or that old accumulation, come to SELL COINS SKOKIE! With over 70 years of collective experience in the coin business, our numismatic experts counsel you in the best way to liquidate your coin holdings. US Collectible Coins, Whole collections, Collectible US Paper Money, US Proof & Mint Sets, St Gauden Gold Coins, 2 Cent Piece, buffalo Nickel, Wheat Pennys, Trade Dollar, capped bust quarter, Carson City morgan Dollar, Silver 3 cents, PCGS coins, error coins, silver and gold coins, investment coins, commemorative coins, old coins. I could go on for pages… We buy all types of Collectible Coins & paper money. Trust worthy, honest, and nice people to work with. I sold some PMs and received a fair and market-based price for them. I would recommend and do business with them again. 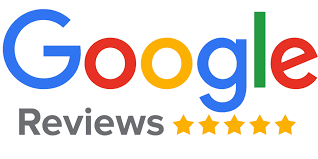 Five stars. I drove from the south suburbs to skokie. I found Oakton off of yelp and read all the reviews and decided to stop by. I thought I’d give it a try since i really needed some cash. I was greeted by josos and showed him the gold coins that iâ€¦. This is place is great, the only place I’ll Â trust going with my coins in Chicago. My grandma has been coming here for years and they are always friendly to her and me. It’s in a fine Chicagoland neighborhood but they have to let you in by unlocking the door with a buzzer – it makes you feel safer. I had a gold pocket watch, which was over 50 years old, and I really wanted to check its value / sell it, Oakton Coins took the time to research the watch & we ended up negotiating a fair price. I am very satisfied how the deal went. Much friendlier than that place in Morton Grove. I found my moms jewelry box filled with mostly gold jewelry from 20 years ago. I had not use for it, so I decided to sell it. After doing some online research, I ended up at Oakton Coins. They were so helpful and friendly and I walked out of there with more than $500 cash in the end. I would definitely recommend them. Great Place! Good Customer Service. Don’t hesitate to visit us when you are thinking of selling your gold. With numerous reviews online we have a reputation for being one of the best places to sell gold in CHICAGO. Consumers have raved about getting the highest cash for gold prices with us when selling gold jewelry and diamonds in Chicago. Please give us a call, email, or visit our store for a reputable place to sell gold, jewelry, and diamonds! When you ask who will buy my gold, you don’t have to look farther than your trusted local chicago coin shop , throughout history, they have bought and traded gold jewelry, creating a tidy profit for their esteemed customers. But with so many corner gold resale shops, how do you know you are getting the best price on your gold jewelry when you are ready to sell? Oakton Coins Chicago has long standing relationships with our refiners and purveyors of gold and other precious metals. We cultivate our established relationships by assuring the best offerings of gold and precious metals and by offering a steady supply of resale goods. Amateur gold buyers weigh your gold and offer a set price. At Oakton Coins Chicago our goal is to create a lifelong customer. We aim for a fair and reasonable price, cultivating a relationship built on trust and fairness. We are confident we can offer a purchase price which will satisfy your needs. There are countless unfortunate stories about high value designer gold jewelry items being purchased for scrap by an unknowing gold buyer and a naïve seller. At Oakton Coins Chicago our well-trained staff knows how to identify pieces of value. There have been several cases of our buyers identifying a designer piece and offering the client more than they expected, due to the potential resale value of the item. If there is any question to the value, we will research the piece and share the results with you. We can turn your gold jewelry sale into a success story too. 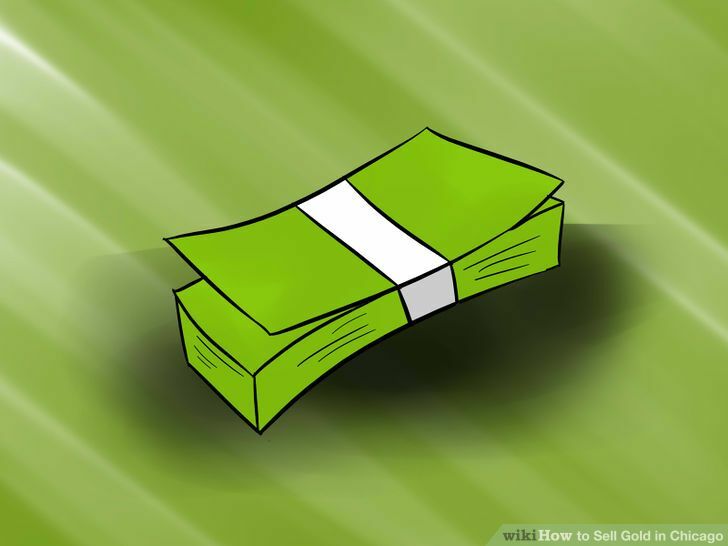 Sell gold skokie, we will buy your gold for cash or check! 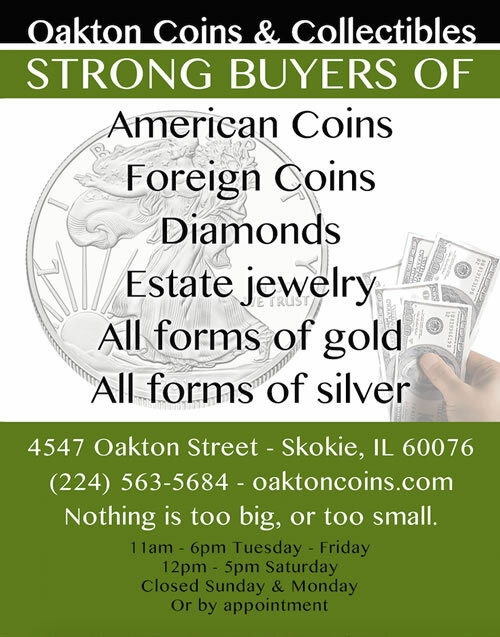 Oakton Coins & Collectibles buys all forms of gold and silver in skokie Illinois (Chicago). Price your gold around and then come to us, we will usually beat your best price. We will beat other prices. Today in Skokie; Gold is trading firmly above the $1200/oz, and almost 70% higher than Evanstons target price. But of course, just like any other ‘analyst’, the bank quickly reversed its course just a few months later when the market started to turn around. The bank, just like so many other banks, suddenly realized gold was there to stay, and started to run behind the curve as their target prices of $1100/oz were immediately met. Just an FYI…. Retail jewelers mark up diamond wedding rings by an average of 300% up to a unbelievable 1000%. The estimates on markups are broad, but most of the reliable sources we’ve seen indicate that 300% is the usual markup. Your acquaintance who says he bought a $10,000 ring for $1,000 might be on the level. Selling gold to a trusted and reliable jeweler or a buyer is not easy. 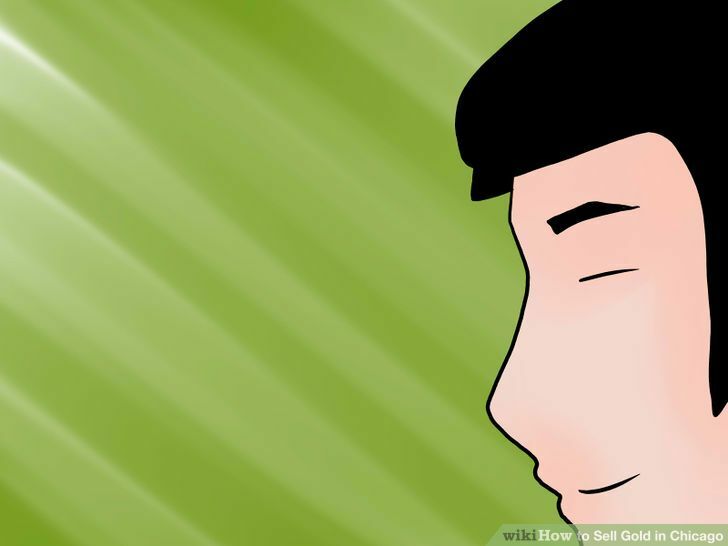 It is difficult to find the right person to sell gold to, who will give you the true value of your belonging. 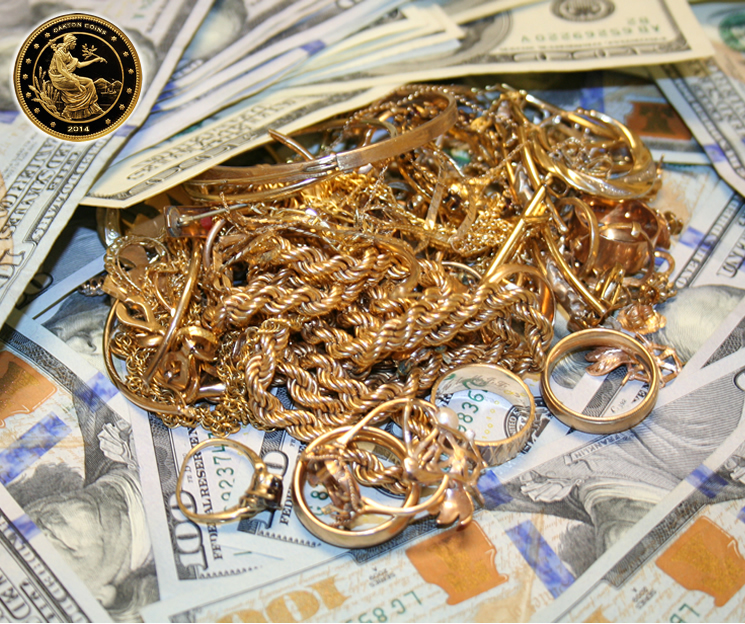 If you are in a quick need of cash, then selling gold jewelry or gold coins is a good option. The value of gold fluctuates time and again. It is important that you keep updated with the latest rate of gold. 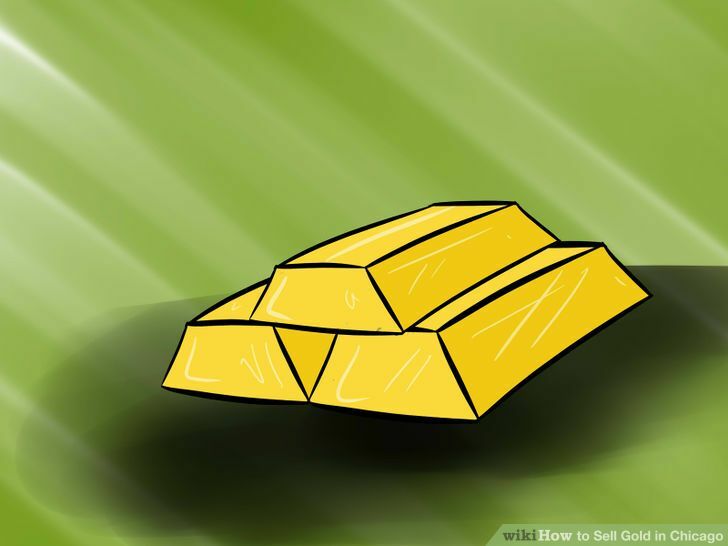 This is a guide that will help you sell gold in the Chicago area. …… Make sure that you check the market price of gold. Do not keep the expectation to receive the same amount for which you bought it for. 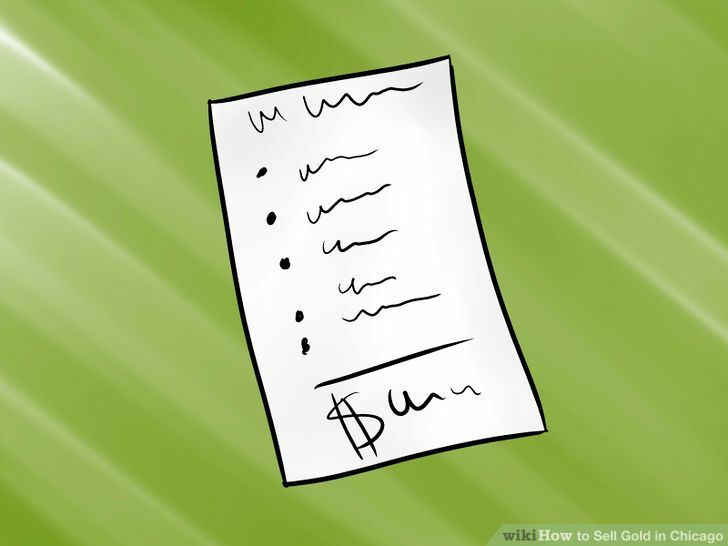 The purchaser will obviously be making a profit but you are likely going to get cash that almost worth its value. It is important to find the right dealer when selling gold. A reputable, trustworthy and reliable dealer is what you should be looking for. You can ask your friends and family for their suggestions. 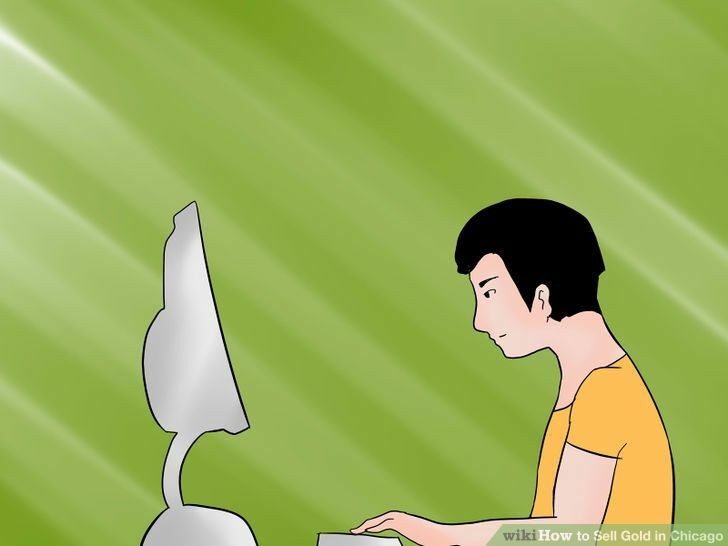 Checking online websites can also help. Besides that, you can always go to jewelry shops and talk to them. Sell Gold & Coins Chicago (OC&C) is a recognized and reputable company which you can safely, sell gold. With this company, you are likely to be offered a price more than any other store in Chicago. It is one of the best places in Chicago where you can sell your gold jewelry or coins, as is evident from the positive reviews. With Sell Gold & Coins Chicago (OC&C), you can get a 80%+ value on your gold if it is not from a high worth brand. It is a pretty impressive offer. If it is from an jewelry brand like Cartier or Tiffany, the worth will increase as the expert jewelers value the worth of gold and your money. For a profitable and fair transaction to occur, an experience and observant jeweler is required. You can be rest assured that you will be offered the best price on your item. The transaction will be mutually beneficial and this is specifically done to build a long-term relation of trust and faith between the company and the customers. 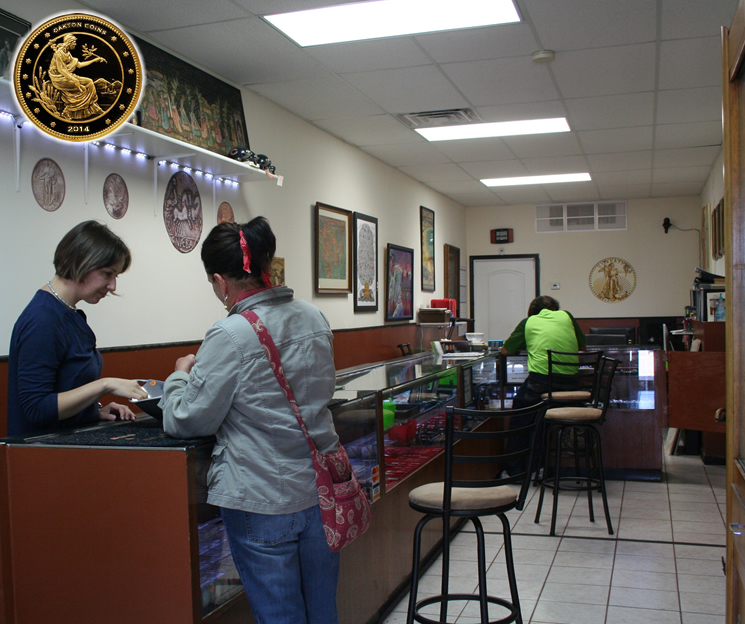 The expert staff of Sell Gold & Coins Chicago (OC&C) has a keen eye and can identify the true value of metal. Whether you are an amateur or an expert yourself, he company will cater to your needs and satisfy them by offering you a reasonable price, which will most certainly be higher than an offer from any other place.